Joel Mullen. Photo by Jonathan Hane. In September 2013, Southern Nazarene University welcomed a new member to the Spiritual Development Team: Joel Mullen. 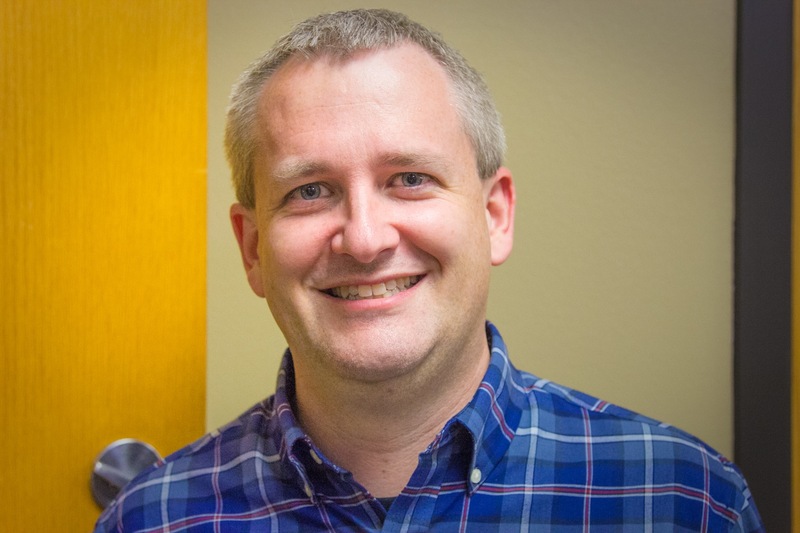 He will be on staff as the Associate University Pastor of Student Ministries. Joel Mullen has had a continual interest in missions ever since he was a teenager. He, along with his wife Sara, were called to missions when they were in their teens. Today, however, he looks at calling differently. Mullen and his wife started volunteering in Italy in 1996, right after they were married, and ended up serving in Europe for fourteen years. They also did some church planting in Palermo, Italy, and Mullen served as the Italy District Superintendent starting in 2004. “Since last spring, I sensed that God was preparing me to go in a new direction in ministry,” Mullen said regarding his new position at SNU. “In the summer, I found out about this ministry opening, and I was immediately interested in the challenges and opportunities it would hold.” He acknowledges this point in time at SNU as a piece of his calling to obedience. Mullen’s main objectives will be organizing the summer mission opportunities and working with the rest of the university pastors to minister to and support the SNU community. This will also include mentoring and discipleship. An SNU alumni, Mullen received his Master’s in divinity in 2001 from the Nazarene Theological Seminary in Kansas City, Missouri. He was born in Missouri, but he considers Rogers, Arkansas to be his hometown. Joel Mullen and his wife also have two adopted children: Lia and Levi, ages two and three.